Need a chocolate, not-too-sweet treat that’s quick to prepare? 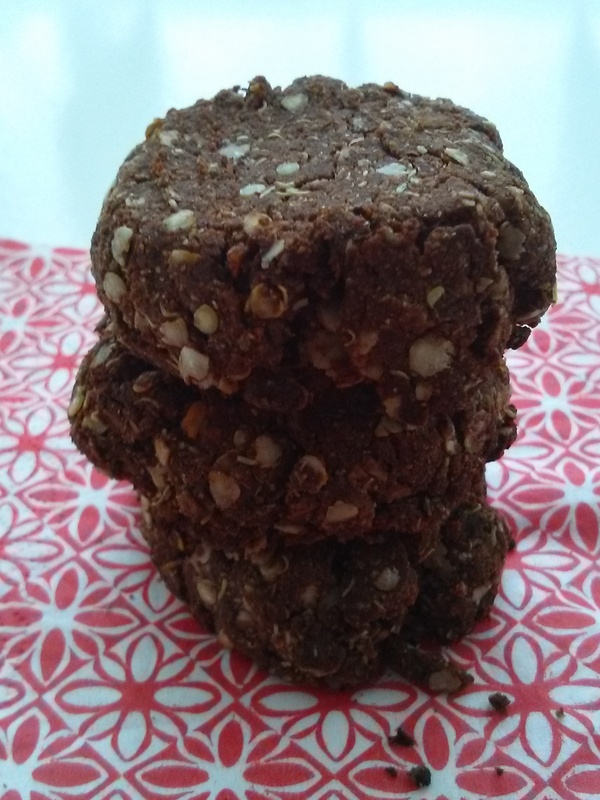 Try these cookies sweetened with dates and Stevia. Stevia is a calorie-free herb used as a sweetener which comes in various forms. The sweetness and flavor varies depending on the manufacturer. In small bowl, soak dates in hot water and let sit for about 15 minutes or until soft. In separate bowl, mix quinoa flakes, coconut flour, cocoa powder, coconut flakes, salt and baking soda until well blended. Chop softened dates with knife or back of fork. Add vanilla extract and stevia. Make 12 equal balls. Place on parchment covered baking tray. Pat down with back of fork. Bake in 350 degree F oven for 10 minutes.